If my counting is correct, by 1952 only 33 of America's 48 states (Hawaii and Alaska weren't admitted until 1959, and no, there are not 57 states, either), and Washington, D.C., had television broadcasting stations. That most of the early television experimentation occurred on the east coast is apparent by looking at the number of stations there compared to the west coast. You might think California would have the largest amount of TV stations, but it only had 11 located in 3 cities. New York, on the other hand, had 13 in 7 cities. Ohio had 12 stations in 5 cities, and Pennsylvania had 7 stations in 5 cities, one of which (WICU, since 1949 ) was my town of Erie. 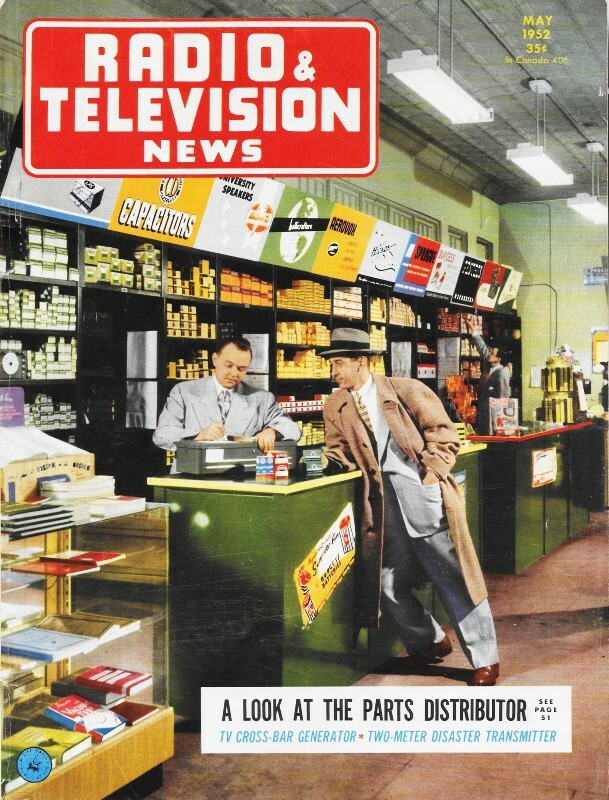 Vermont, New Hampshire, Mississippi, Wyoming, both Dakota, and Oregon were among those with no television stations by 1952. That seems unbelievable since that was only 67 years ago, but evidently was so. 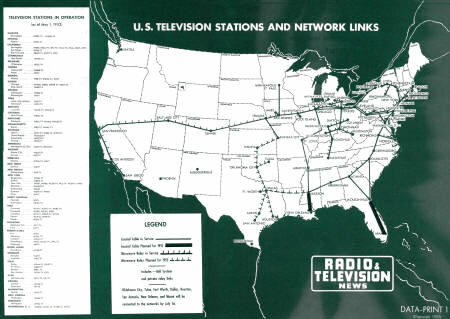 The network "lines" included microwave repeaters to reach from coast to coast. On September 4, 1951, AT&T opened the network by televising a presidential address from President Harry S. Truman at the San Francisco Peace Conference (see video below). Satellites now handle the bulk of long distance television broadcasts.